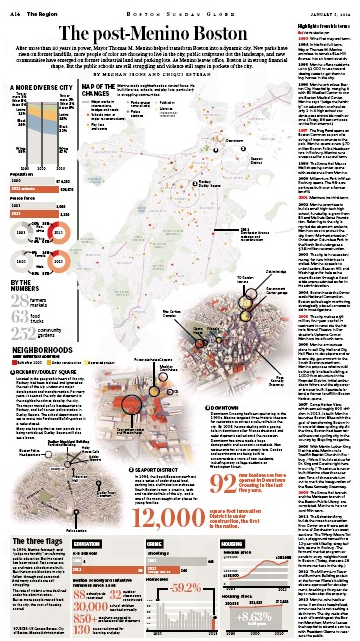 Yesterday’s Boston Sunday Globe featured a five-page Stockholm Syndrome sendoff to hardexiting Boston Mayor Tom Menino. Don’t take our word for it: Check it out yourself and you’ll find up to zero percent negative information in the piece. Might that be the Boston Herald? The Menino Gazette will never say. This entry was posted on Monday, January 6th, 2014 at 10:09 am and is filed under Uncategorized. You can follow any responses to this entry through the RSS 2.0 feed. You can leave a response, or trackback from your own site.